When you’re traveling with a little one, a stroller and a couple of your favorite carriers are essential. More specifically, you will need one of the best strollers for traveling. But what makes a stroller great for traveling? Will you be driving to your destination? Then you’ll need something that easily fits into your trunk without compromising comfort for baby. Flying? You may want to choose something that is the most compact. Do your activities involve long periods of walking time? You may need a stroller that has all the bells and whistles to keep baby happy. While you could bring your everyday buggy, keep in mind that they can be damaged while in baggage and that they will likely be a bit more for you to lug around. 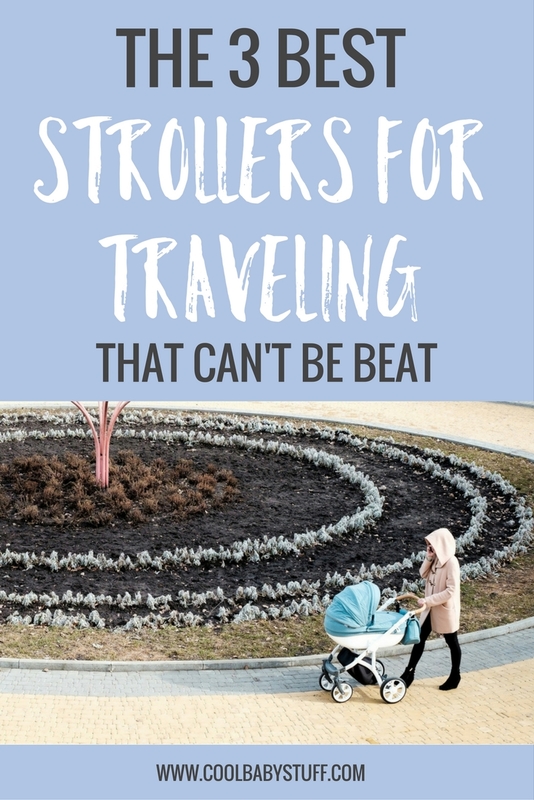 I have compiled a list of some of the best strollers for traveling that will be sure to meet the mark for all family travels. Read this article to find out the 4 rules when packing a carry-on for a baby. 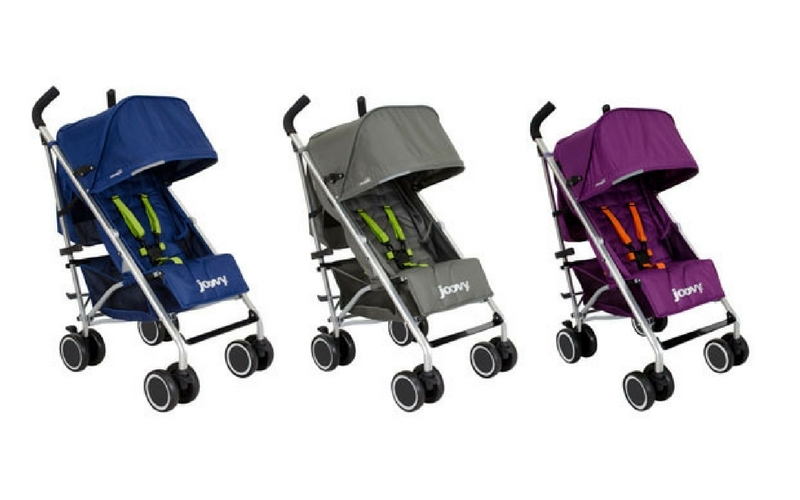 I’m going to call the JOOVY New Groove Ultralight, your catch all umbrella stroller. This is a travel stroller that your babe will be able to use as a newborn and up to 55 pounds! It is perfect for long walks from sight to sight on your next vacation because the seat reclines and lowers to a nearly flat position, making it easy for your little one to nap on the go. This stroller is ideal because it is equipped with an easy open and close system as well as a handy kickstand so that you can keep the stroller nearby, hands free, able to pay attention to the one who needs you the most. Named the world’s smallest stroller in 2014, the Gb Pockit Stroller is the answer for the world traveler, looking for an easy way to tote baby along. The Pockit stroller is ideal for those who are frequent flyers because it can easily fit in a carry on, large purse or even under the seat in front of you! 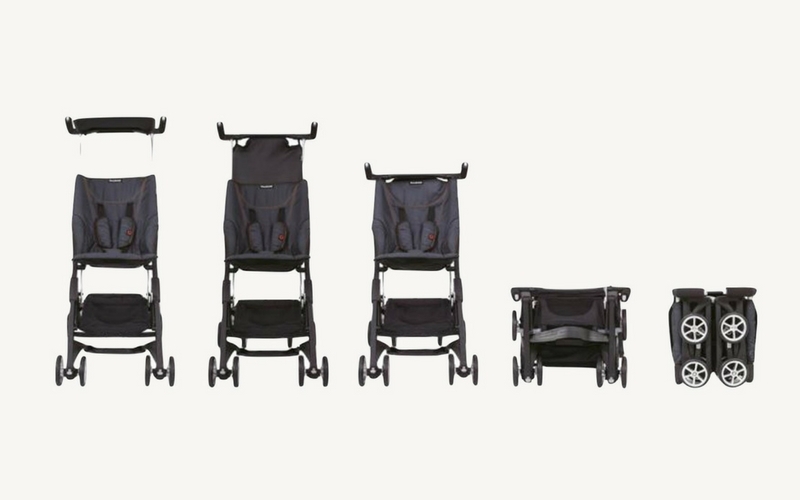 You may think that because the Pockit folds so small that it would be difficult to set up for use but surprisingly, the stroller opens and collapses with the touch of a button making it easy and convenient to use it at the drop of a hat. While this stroller may be small and lightweight (9.5 lbs) there is no doubt that it was built to last. The Kolcraft Cloud Plus Lightweight Stroller gives you the most bang for your buck. For just $50, you can enjoy many of the perks of high-end strollers without the cost. This Kolcraft is only 12 pounds and folds with the squeeze of a button. It is ideal for extended vacations or short day trips alike. It’s from wheel suspension makes it super easy to push and maneuver in tighter, crowded spaces. My favorite perks of this stroller are the (included) accessories! This stroller includes a reclining seat for easy resting, an oversized storage basket and a food/ snack tray for your kiddo to use so that you can be free to stay on the move. Thinking you are forgetting something? This article will give you an outline of everything you need when traveling with a baby. As you prepare for your next travels with baby, don’t let the “need to get around” overwhelm you. 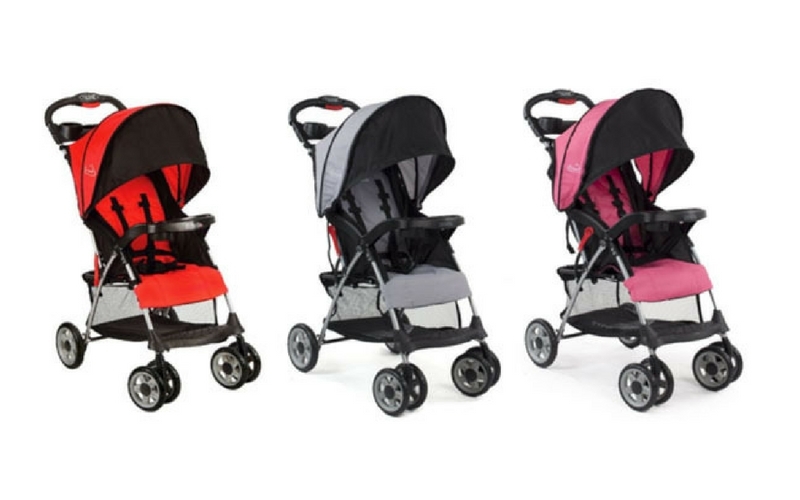 Visit your local baby shop and ask to try out these strollers. Choosing one of these strollers will guarantee easy travel and provide you with what you need to keep baby happy and ready to make memories on your next adventure.